The Kindle Voyage is undoubtedly a more enhanced version in comparison with the other e-readers. This article aims to shed some light on why the Kindle Voyage is better than the Paperwhite. The specifications under discussion are the weight & size, display features, the page press function, built-in front light, battery life and storage, content and connectivity. Check out which is the best e-reader for you. The Kindle Voyage is smaller by a tiny margin of 0.3 inches. To be precise, the dimensions of the Voyage are 6.4” * 4.5” * 0.3” whereas the Paperwhite measures 6.7” * 4.5” * 0.36”. In terms of weight, the Voyage weighs 6.6 ounces which an ounce lesser than the Paperwhite. Overall, there isn’t a significant difference between the two models. That is to say, and you wouldn’t know the difference unless you hold them together. However, a core utility aspect of the best e-reader is portability. So, the smaller and lighter it is, the better. The Kindle Voyage seems to do this job the best among all the Kindle e-reader models. Related: Looking for Gifts for Book Lovers? Here are 15+ ideas. Let’s talk about the resolution and screen quality under this header. To begin with, the Kindle Voyage boasts of a much higher resolution than the Paperwhite. Here is a quick look at the numeric. The resolution of the Voyage is 1448*1072 pixels while the resolution of the Paperwhite is 1024*758 pixels. The high resolution makes the text look sharper and clearer, thereby facilitating a more comfortable reading experience. The Paperwhite comes with its screen recessed within the plastic bezels which gives room for dirt and dust to get settled in the corners. On the other hand, the Voyage features a toughened glass display that sits flush with the bezels giving it a sleeker and classy look. The only flipside to the display of the Voyage would be the slightly reddish tone to the top half of the display. The Paperwhite comes with a uniform display from top to bottom. In case this reddish hue does not jar on your eyes, this can very well be taken off the cons list. What makes Kindle the best e-reader is the subtle yet impressive advancements it incorporates it its new models. The PagePress function is a fancy page turn sensor which gives you a little vibration feedback every time you’re at it. This feature aims to blend the feel of push buttons with the touch technology. It might be slightly unusual in the beginning, but once you get the hang of it, I’m sure you are going to love it. The inclusion to the Voyage hasn’t done any damage to the looks of this e-reader. On the contrary, the Kindle Voyage is the proud bearer of the sleekest and most stylish looks of all the Kindle ereaders. The Kindle Voyage and Paperwhite have a built-in front light. However, the Voyage offers an exciting auto adaptive feature. This adjusts the intensity of brightness automatically in response to your surroundings. This I would say is really worth the few extra dollars the Kindle Voyage demands. This auto-tuning of the screen brightness takes away a ton of stress from your eyes. Reading on the go sure is a pleasure but not at the stake of your eyesight. This incredible facility does the magic for you. If you’re conscious of going easy on your eyes, the Voyage is a great choice for you. 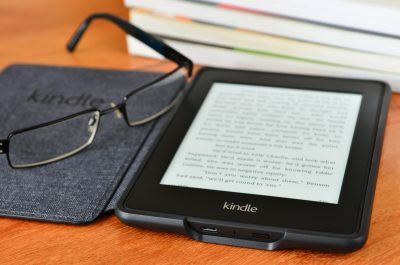 This is yet another crucial factor that determines whether it is the best e-reader that would really serve its purpose. You will need the e-reader to provide you with digital literature even at places you might not expect to find a charging socket. So, perfect battery life becomes essential. Both the Paperwhite and Voyage have an impressive battery life of up to six hours in general. This is one of the reasons why Kindle is the best e-reader in the market. However, owing to the improved display and backlight features, the Voyage might fall back a little from the expected six weeks. Nonetheless, the Voyage still stands well at nearly six weeks of battery life with just a few hours of charging. The Kindle Voyage offers you compelling internal storage which is twice as much as the Paperwhite. The Voyage accommodates 4BG of storage which roughly adds up to 4000 e-books. This piece of news is sure to thrill every book lover. 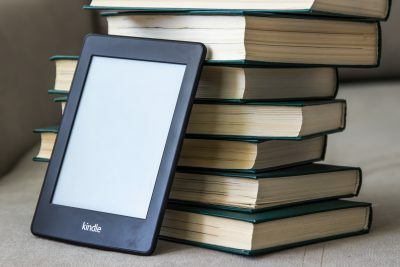 The Voyage and Paperwhite being products of Amazon’s kindle offer unbiased access to all the e-books out there in Amazon free cloud storage. There is no difference whatsoever in the connectivity. Choosing the Voyage over the Paperwhite in terms of connectivity would hold no meaning. Both are one of the best e-readers that support 3G and Wi-Fi connectivity options. However, the 3G version gets the price of your e-reader up by $70. On the whole, the Kindle Voyage does have the edge over the Paperwhite in most of the aspects. If you don’t mind spending a few extra dollars on having the best of your features on your e-reader, then the Voyage is the one for you. The ulterior behind the enhancements to the Voyage is to provide you with the much better reading experience. Moreover, the Voyage unfailingly meets the motive. 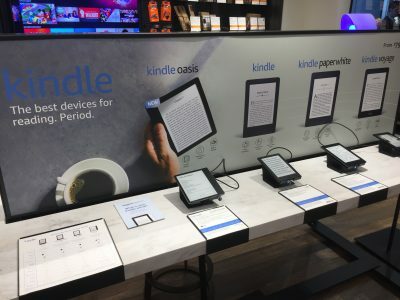 There have been a few excellent introductions to the e-readers’ market, and Voyage is right up there. 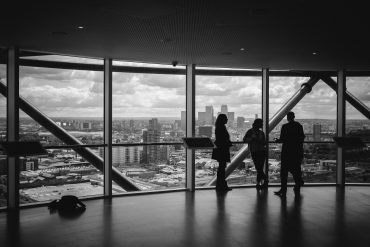 The rival companies have launched many similar products for competition. The primary rival product would be the Kobo Glo HD offering seemingly identical features. However, even a Kobo vs. Voyage vs. Paperwhite comparison would prove Voyage to be a much-preferred choice. To emphasize one last time, the Kindle series has always been the best e-readers of all times.